what happens to your body when you exercise? Neuroscientist Judy Cameron, Ph.D., professor of psychiatry at the University of Pittsburgh School of Medicine, Tommy Boone, Ph.D., a board certified exercise physiologist, and Edward Laskowski, M.D., co-director of the Mayo Clinic Sports Medicine Center take us through what happens in the body when we exercise. Muscles use glucose and ATP for the energy required to contract and create movement. When there isn’t enough oxygen to create ATP, lactic acid is formed. Tiny tears form from exercise that encourages muscle growth and strength as they heal. Lungs need up to 15x more oxygen when you exercise. Your breathing rate will increase until the muscles surrounding the lungs just can’t move any faster (named “maximum VO2 capacity”). The diaphragm (a muscle!) can fatigue (side stitch!). Practice deep breathing (pranayama!) and stretching (yoga!) to alleviate the discomfort. Heart rate increases to quickly circulate more oxygen. This becomes more efficient with exercise experience, so you can work out harder and longer (lowers resting heart rate). Exercise increases new blood vessel growth (decreases blood pressure). Movement and absorption in stomach and intestines is paused during exercise because oxygen is diverted to the muscles. After exercise, the kidneys allow more protein into the urine and trigger water reabsorption… keeping you as hydrated as possible. Cortisol is released to help energy stores turn into fuel for the body. Adrenaline increases heart rate to deliver blood to muscles. The blood vessels in the skin dilate, increasing blood flow to the skin. The heat then dissipates through the skin into the air. Sweat glands produce perspiration (water+s alt+electrolytes and/or odor-causing) onto the skin’s surface. When this sweat evaporates into the air, your body temp drops. Capillaries in the face dilate to release heat = red face! Joints take 5-6 six times more than your bodyweight during exercise. This can cause wear and tear on the cushioning tissue (cartilage), soft tissue and lubricating fluid. … 10+ more reasons to “do your body good” and get moving! much love. We know that the brain retains plasticity, or the capacity to be reshaped, throughout our lifetimes. And that exercise is particularly adept at remodeling the brain, prompting the creation of new brain cells and other positive changes. I posted previously about the dangers of sedentary time (HERE). Now it seems that inactivity can also remodel the brain. A study (Mischel et al. J Comp Neurol 2014) conducted in rats demonstrates that sedentary time changes the shape of certain neurons that significantly affect brain AND heart function. 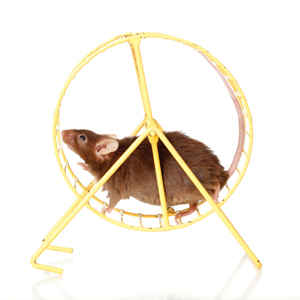 After 3-month of resting, neurons in the brains of sedentary rats developed branches that made them likely to overstimulate the sympathetic nervous system (SNS). The SNS directs blood vessels to widen or contract as needed to control the flow of blood. Overactivity of the SNS contributes to increasing blood pressure and possibly the development of heart disease. All the more reason to get off your couch or chair and get moving! much love. Mischel et al. Physical (in)activity-dependent structural plasticity in bulbospinal catecholaminergic neurons of rat rostral ventrolateral medulla. J Comp Neurol. 2014 Feb 15;522(3):499-513. doi: 10.1002/cne.23464. Reynolds, Gretchen. How Inactivity changes the Brain. Well blogs, NY Times. January 22, 2014. Last week I mentioned some specific exercises targeted to PD symptoms (see HERE and HERE)… today I want to share WHY exercise is so important for brain health. New Research out of the Dana-Faber Cancer institute and Harvard Medical School (Spiegelman & Greenberg, Cell Metabolism 2013) shows that endurance exercise, such as distance running or cycling, releases a protein (FNDC5) that improves brain health while promoting the growth of nerves associated with cognition. 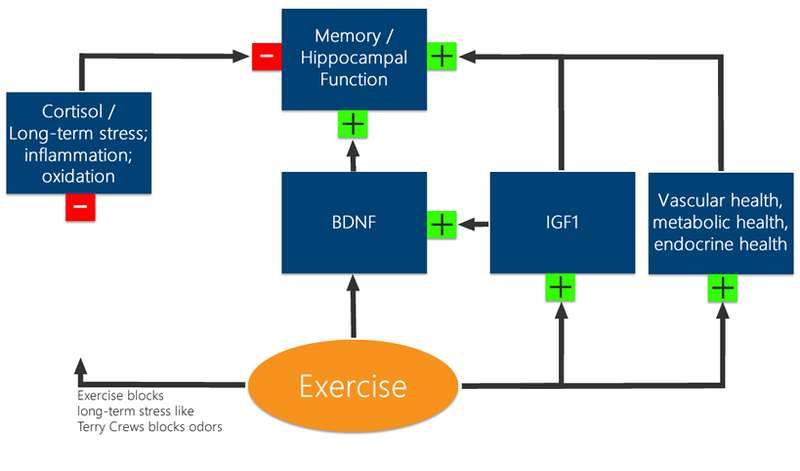 In laboratory rats, PGC-1α (which is also found in humans) led to improvements in protein FNDC5 and Brain Derived Neurotrophic Factors (BDNF). PGC-1α is thought to coordinate the gene response to exercise, blood pressure and development of obesity. So, keep moving! much love. Sedentary lifestyles are killing us. Ayurveda, the sister-science to yoga, focuses on balanced, stable and nourishing routines. Ayurveda considers ‘sendentary time’ as “styana” (inefficiency, idleness, procrastination, dullness) and “alasya” (laziness, sloth). These contribute to distractions and obstacles on the path to connecting to one’s true nature and the ability to live a meaningful and purposeful life. 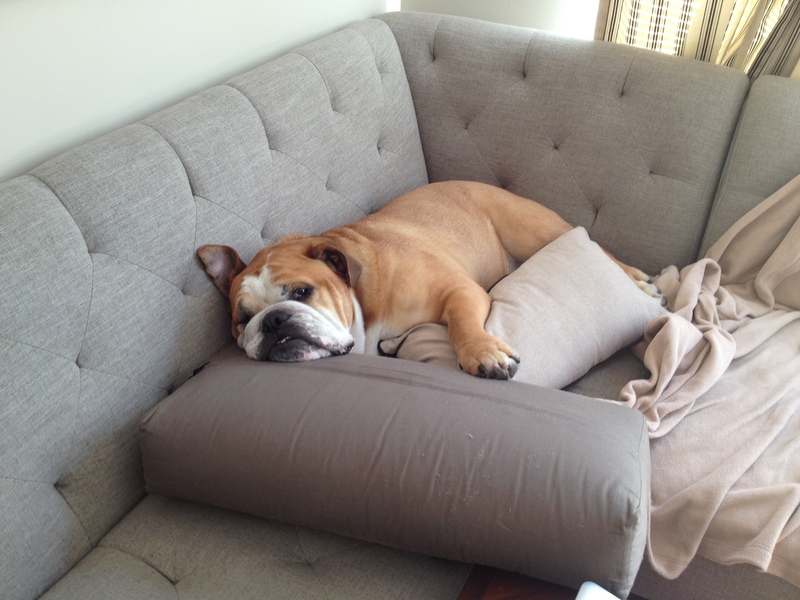 my snuggly couch potato getting his dose of sedentary time … and, yes, he made himself THIS comfortable! 147% increased risk of heart attack or stroke; 112% increase in the risk of developing diabetes; 90% greater risk of dying from a cardiac event; and 49% greater risk of premature mortality. Activity matters. It’s about moving during your day (“physical activity“) and planned bouts of effortful activity (“exercise“). CSEP recommends (ages 18-64) at least 150 minutes of moderate- to vigorous-intensity aerobic physical activity per week, in bouts of 10 minutes or more. It is also beneficial to add muscle and bone strengthening activities using major muscle groups, at least 2 days per week … however, according to Statistics Canada, only 15% adults meet these minimum requirements. Sedentary lifestyle in older age is especially risky. However, there is GOOD news. Changes to glucose and insulin cause by sitting can be offset by standing up and walking two minutes for every 20 minutes of sitting. Research has also demonstrated that brief behavioural intervention for older adults 65 years and older resulted in a three percent reduction in sitting time over a two-week period (Gardiner, J Am Prev Med, 2011). … so what are you waiting for? get your as…ana off that chair and on your mat! much love. When you practice learning something new, you’re building new neural pathways in your brain. The more intense the practice, the stronger and more functional those neural pathways, and the better you can play the piano or the more likely you are to make a three-pointer with your non-dominant hand. Fortunately, old dogs CAN learn new tricks, and as you get older your brain can continue to build new pathways and get stronger, even if it’s at a slower pace than when you were younger. 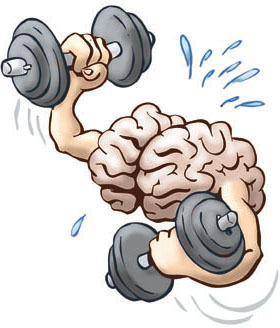 To make sure your brain stays toned and ready to fire you need EXERCISE! You can protect prefrontal and temporal gray matter volume and forge new neural pathways with daily physical activity! Happily, this brain-building technique also can help folks who develop a neurodegenerative disease like Parkinson’s, in which old pathways are lost and new ones are hard to develop. At Dr. Mike’s Cleveland Clinic Wellness Institute, intense exercise improves symptoms for more than 30 percent of people with Parkinson’s. 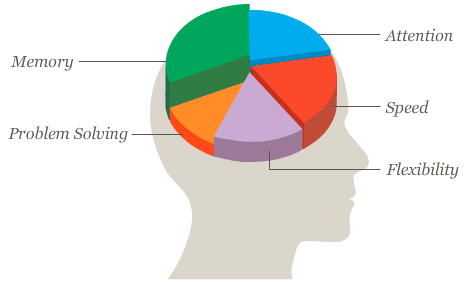 Learning-based memory exercises can also help keep our memory sharp… umm have you tried LUMOSITY? I love their games, it’s a great break during the day! … and remember that change is possible at any time. Not only is our brain plastic (able to be “remapped” toward greater health, calm, memory, and reduction of pain) but also our thoughts and feelings can be reshaped on a daily basis. We can begin to experience positive transformation within days—a transformation that can be sustained over a lifetime. so, try a new hobby, activity or brain game today! What are you waiting for? much love. As we get older, our brain shrinks… yep it’s inevitable… all those thoughts, memories and white matter just waste away. White matter is especially important, like the wiring of our brain that is associated with cognitive function and memory. Especially in PD, preserving brain volume could potentially improve motor and cognitive symptoms and anxiety. THIS ONE shows treadmill exercise are the most feasible for people with PD, and showed the greatest improvement in gait speed and quality of life. … and Another Reason to Get Out There and Get Moving! a few more reasons to get out there! much love. … one of my favourite places to get sweaty? Why, Moksha Yoga, of course! Parkinson Wellness Recovery – Exercise 4 Brain Change! Last week, I went to a talk by Becky Farley, PhD, MS, PT, sponsored by Parkinson Society BC. The topic was “EXERCISE AS MEDICINE” and she discussed some of the work she does at her Parkinson Wellness Recovery gym in Tuscon, Arizona. Becky became involved in Parkinson’s disease during her post-doctoral work when she investigated the muscle activation deficits underlying bradykinesia in people with PD. She developed the LSVT® BIG exercise approach and standardized training to targets the PD symptoms of slow/small movements bradykinesia/hypokinesia. The aim of Becky’s program is to use exercise as a physiological tool to optimize brain function (i.e. 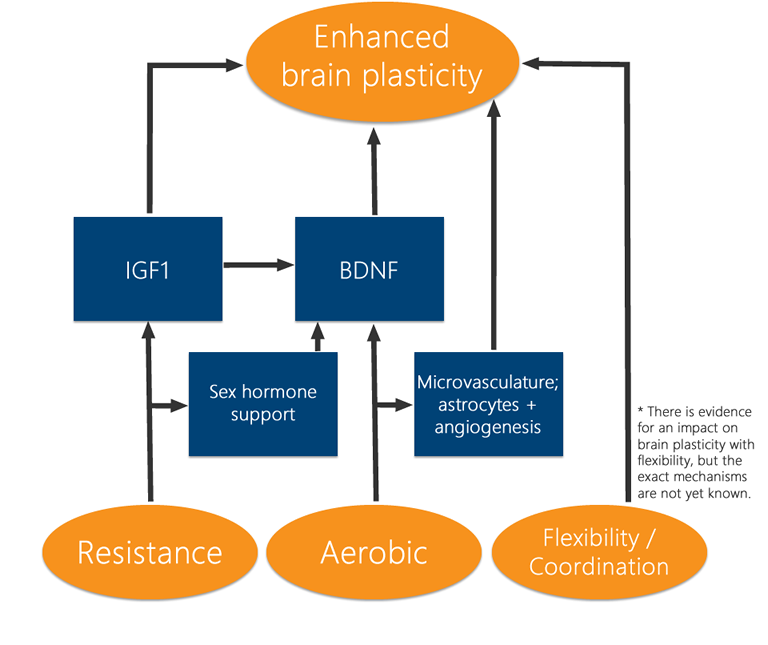 neuroplasticity) and health. Her program is based on: early intervention, continuous access and research-based exercise programs. PWR! also trains clinicians and fitness professional with techniques to focus on PD-specific exercise. “start from a position of power!”. Your body needs to be ready, your brain needs to be focused and the task needs to feel important (or fun!) for change to occur. Make your exercise engaging! Use equipment (i.e. bungees, ropes, balance boards, harnesses) to get the experience of the full movement safely (especially in people with PD who have difficulty balancing etc. ), then start to take some of those supports away as you progress and apply that experience to everyday movements! “Prime” your body by starting your exercise program with progressive aerobic training, then follow up with skill acquisition-type exercises. 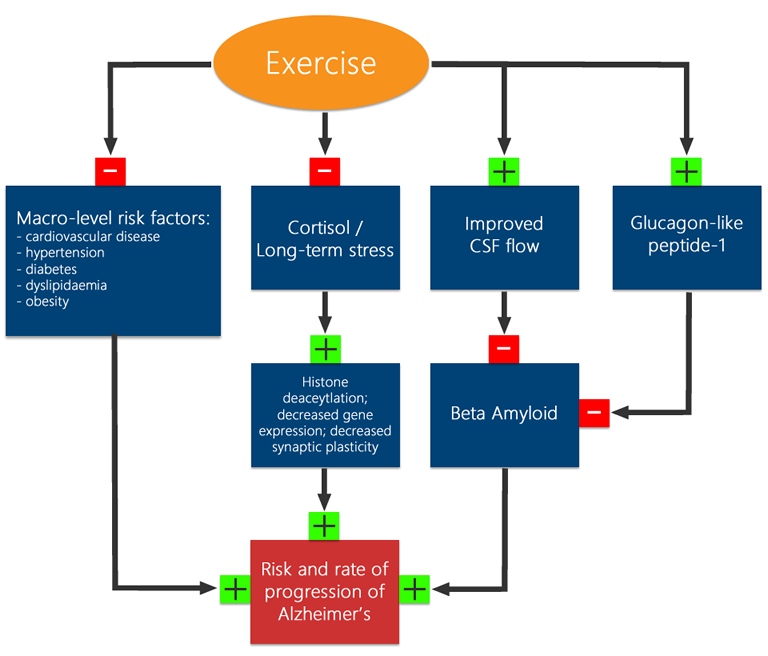 How does exercise help brain function in Parkinson’s? Becky also presented some of the latest research on the benefits of exercise on brain function. Exercise can help increase brain volume, improving working memory and attention. Also, it increases blood vessels and leads to more neurotrophic (growth) factors (like “gatorade” for the brain!) and a more supportive environment for neurons. Exercise also increases the redundancy in brain synapses. Redundancy is good! If you have some synapses that aren’t working, you will have back ups to replace them! Specifically in PD, research tells us that exercise increases survival rate, increases physical functional ability, and improves cognition! It can help “repair” the dopamine system in early/moderate stages of PD by increasing dopamine D2 receptors and helping your brain make better use of remaining dopamine. Please check out her PWR website and see if there are any trained-clinician in your area! much love.